Want to quickly see how the open-source software DynPG works? You'll find a free and updated demo installation of DynPG here. We are currently updating the DynPG demo. Please check back shortly. There will be a new version up soon. 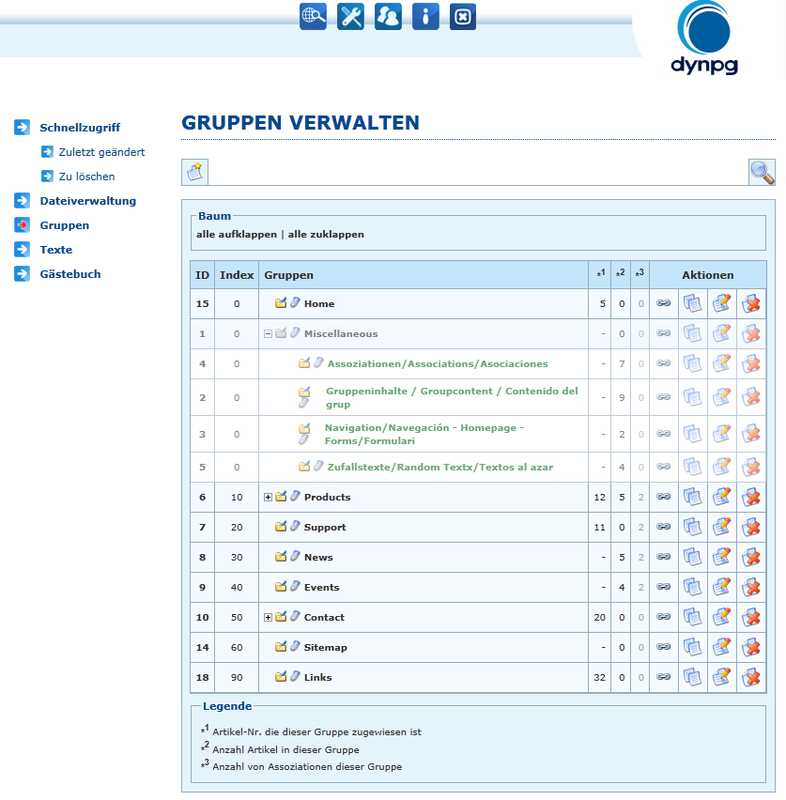 DynPG CMS is a free open source software created for managing website content and modules, while at the same time focusing on the automation of business processes. It stands out from other content management systems by being directly embedded into the website, but it provides a simple and convenient way to extend existing websites with dynamic content. 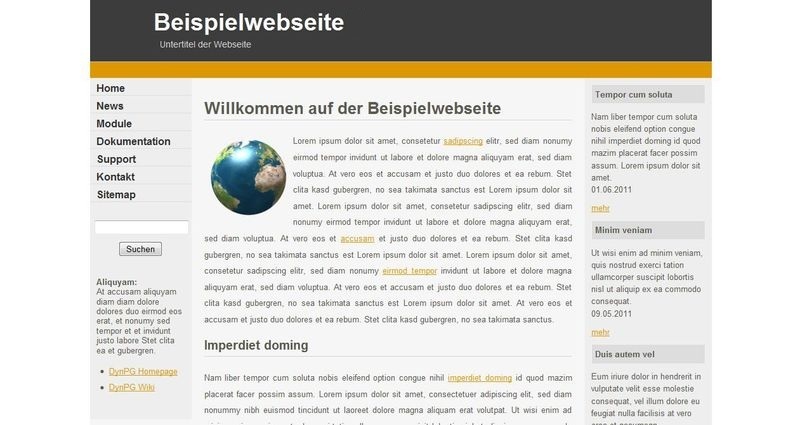 Some examples of features include a template engine, multi language support, news and Rss feeds, website search and a WYSIWYG formcreator. If you want to set up your own DynPG demo site, the latest version available for download is 4.9 and was released on May 24, 2017. The screenshots below will give you a preview of how a demo site looks like and what features you can expect from the admin interface.